[Sanskrit for “wheel,” “disc,” “circle”] Term used to denote the centers of light anchored in the etheric body and governing the flow of energy to the four lower bodies of man. Elizabeth Clare Prophet and Patricia R. Spadaro, Your Seven Energy Centers:A Holistic Approach to Physical, Emotional and Spiritual Vitality. 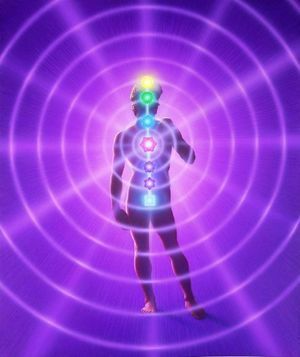 Kuthumi and Djwal Kul, The Human Aura: How to Activate and Energize Your Aura and Chakras. Elizabeth Clare Prophet, Chakra Meditations and the Science of the Spoken Word (audio album). Elizabeth Clare Prophet, Saint Germain’s Heart Meditations I & II (audio album). Elizabeth Clare Prophet, The Power of Music to Create or Destroy (DVD). Elizabeth Clare Prophet, October 7, 1977.